Whether you’re looking for fresh outfit inspiration, a pair that make you look and feel a million dollars, or a fab pair to see you through the coming months boots are an absolute essential in every women’s wardrobe. While it may seem like they are universally flattering—that no matter your height, proportions, or scale you can wear any style and look good it’s worth knowing certain boot styles flatter some more than others. Curious to know more? Then read on to get the low down on which boot styles work best for you. 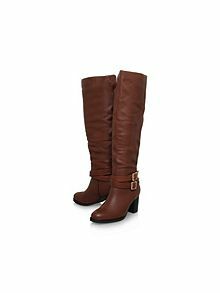 If your legs are on the short end of the spectrum opt for boots with a heel (at least 1″) and/or pointed toes to give you height and lengthen your pins. 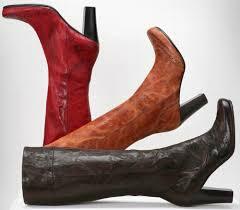 Shoe boots with an open front worn for an evening out are a good option as they too will help lengthen your legs. 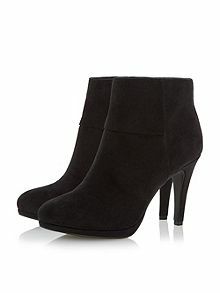 For those of you who can’t resist an ankle boot make sure they are the same depth of colour as your hemline. Avoid any styles with buckles etc as these will add bulk. 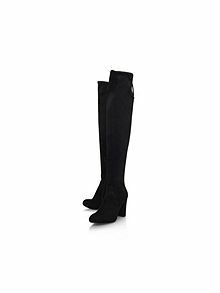 Lucky you as anything goes – that said flats and over the knee boots look fab. 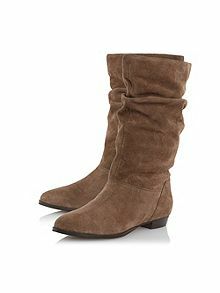 Pull on boots with simple designs and made of soft material (soft leather & suede) work well for those with full legs. Heels (at least 1″) will help to slim the appearance of your pins. Choose a pair with a more substantial heal to balance with the fullness of your legs. 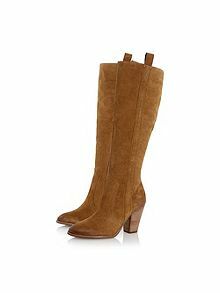 Avoid mid calf length boots as they will only draw attention to your legs. 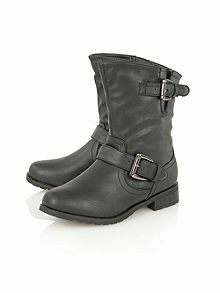 Opt for boots with details eg; buckles or rouching. Choose a pair with a slimmer heal to balance with your legs. Avoid wide leg and loose fitting boots.